Carver Gases is a trading division of Carvers Building Supplies. The parent company was first recorded as a builders merchants back in 1896 by Harry and Horace Carver and is still a family run business with Henry Carver as the Managing Director. Carver Gases was started in 1970 by Roy Carver. In 2014 Carvers constructed a new purpose-built LPG plant in Four Ashes, Wolverhampton. 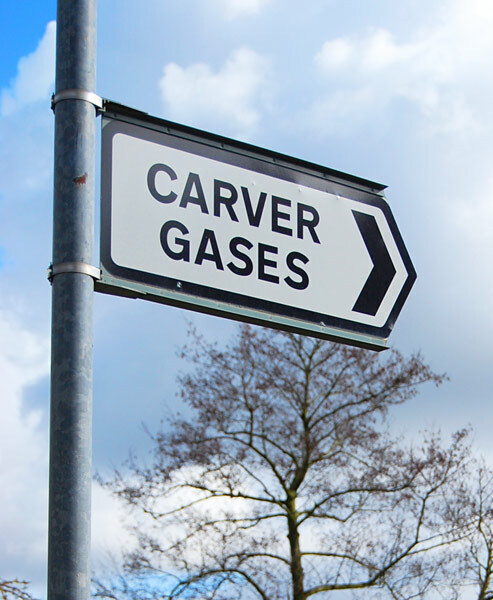 Carver Gases bulk LPG covers a delivery area of around 40 miles from our base at Wolverhampton. This includes Telford and Shropshire areas, Staffordshire and Uttoxeter, Stoke on Trent, Burton on Trent, Bridgnorth, Coventry, Kidderminster, Redditch and Worcestershire. Carver Gases cylinders are delivered within a 15 mile radius of Wolverhampton which includes the Bridgnorth area, Stafford and most of the Black Country. Carver Gases remain very competitive against all suppliers of LPG in both bulk and cylinders. If you compare our LPG prices you can currently save up to 40% on your existing supplier. Reliability of supply to customers is our number one priority. Carver Gases remain a solidly independent LPG supplier. To make sure that we can deliver the service you expect Carver Gases keeps as much of our supply chain under our own control. We own our own filling plant and storage facility, our own cylinders, our own minibulk and cylinder delivery vehicles, and we even own the vehicles that collect our LPG from multiple refineries, again to reduce risk of non supply. You may already be aware that during the winter of 2017/2018 many LPG suppliers failed to supply customers needs. Consumers were left for weeks without any supply during the coldest spells of the winter. Carver Gases customers did not see any increase to our standard delivery policy even during the harshest moments of winter. Our delivery policy for Bulk LPG is currently 5 working days in summer and within 10 working days in the busiest winter months. Cylinders are delivered locally within 48 hours, or on set days further afield. Carver Gases do not use a call centre or automated dialling, we don’t have a huge marketing department or operations centre. When you call us you will speak to a human, probably one that you know by name who will be based in our office at Carver Gases. Carver Gases customers are long term customers – our customer retention rate is at 99.4%. Many of our valued customers have been with us over ten years, some with twenty and thirty year accounts. This number cannot be used if you have run out of gas as our phone operator only has access to out of hours engineering services. Head over to our LPG Gas Emergency page for more information. You buy LPG to fill the tank supplying your home. You just want a reliable supplier who will keep your tank topped up summer and winter. You are fed up with short term offers and broken promises. If you have an issue you want someone you can call easily and with the authority to help you. You use LPG cylinders to heat your home and use an auto changeover regulator. You need a reliable suppler that will not only deliver but swap over your empty cylinders for you. Your business relies on forklift trucks and you need a reliable and competitive supplier of LPG to keep you running week after week.